Also we supply: hsd spindle parts includes connector, spindle bearing, tool holder, tool clamp and collets. Tip 1. Please start machining after the HSD spindle RPM reach its maximum value. Tip 2. 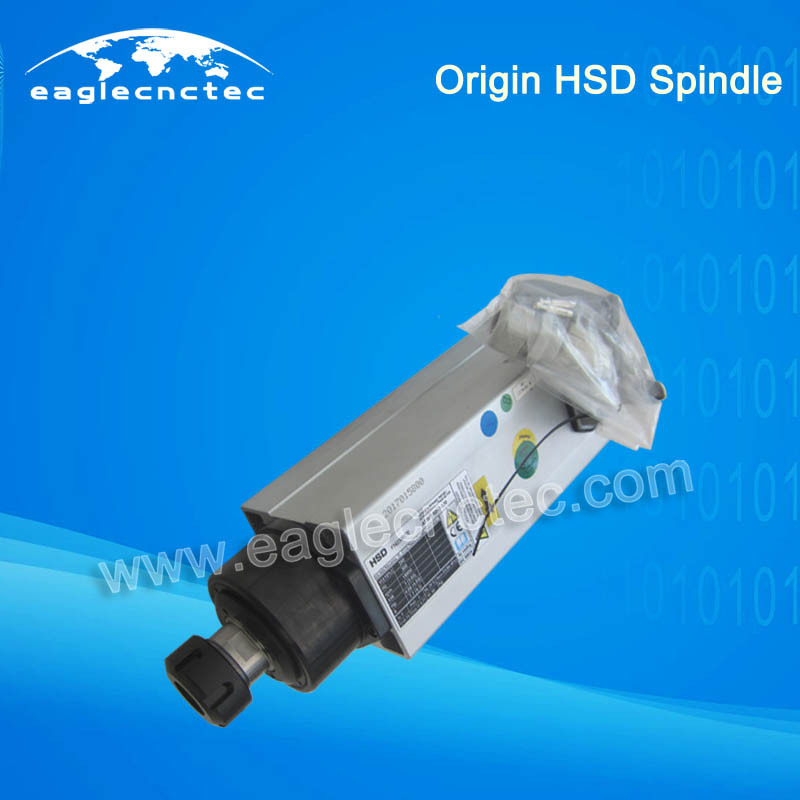 In the first time to run a new HSD spindel after it installed on cnc router machine, it is better to start at low speed 6,000 rpm and increase by 3,000 rpm after every 10 minutes running. We can use it normally after it up to Max. rpm 24,000 or 18,000 according to different spindle motor specification. This is because that bearings inside new spindle need to be preheated. Furthermore, in order to extend the service life of spindle, it is better to start trial operation for 10-15 minutes before we use it normally. When we build the machine, EagleTec do same like this on every machine. Tip 3. Please use dynamic balance spindle nut. Using spindle nut with dynamic balance treatment can reduce noise and vibration of hsd spindle. So it can prolong the service life of spindle. Buy all cnc spare at one stop here. Our team is ready for you. Payment can be made via Western Union, Paypal, and Bank Transfer. Please inquire now !